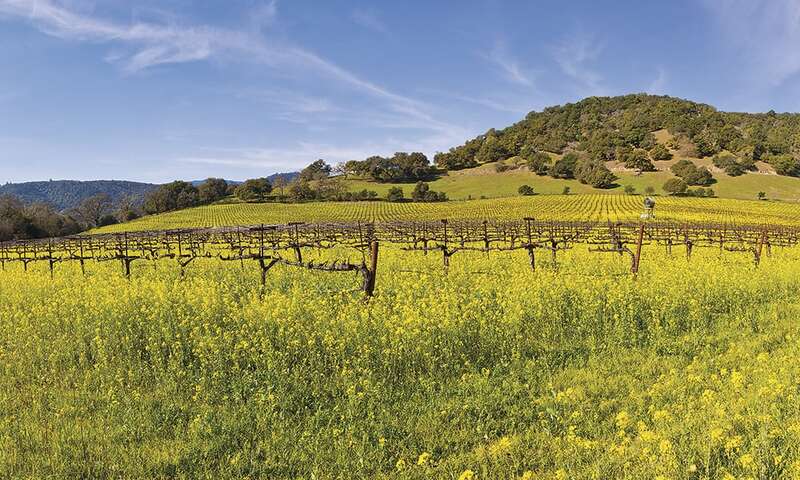 From the heights of Sugarloaf Ridge State Park, Cowgirls can see all the way to the San Francisco Bay–and even farther back into California’s winemaking history. Darley Newman takes a wine country trail ride back in history. As I sauntered through an open meadow on Romer, a black-and-white Tennessee Walking horse, I thought about the first ranchers who lived in the fertile valleys of today’s Sugarloaf Ridge State Park in California’s Wine Country. Sugarloaf Ridge was not included in the Agua Caliente Mexican land grant of 1836, but it did serve to separate Juan Wilson’s Rancho Los Guilicos from Rancho Caymus, owned by George C. Yount, the first American pioneer to settle in Napa County, arriving to the area in 1831. Thanks to the Bear Flag Revolution, spurred on by Col. John C. Fremont in 1846 and issuing a declaration of independence from Mexico, a few other American homesteads began cropping up in the 1850s-70s. The Luttrell family was one of those, settling here in 1860-93. Today, you can find the Luttrell vineyard’s vertical furrows on a slope northwest of the ranger’s residence. Settlers like the Luttrells planted their vineyards with cuttings supplied by Catholic priests at Mission San Francisco Solano, established in 1823 as the northernmost mission in the chain of 21 missions built in Alta California. Yount himself planted table grapes here in 1838. My guide on this trip was Erin Bettinelli, who grew up riding in this area. Breathing in the almost sweet air and listening as my horse’s legs swished through the tall wheat-colored grass, I could see why San Francisco city slickers and others from far locales would want to venture to this part of Wine Country. 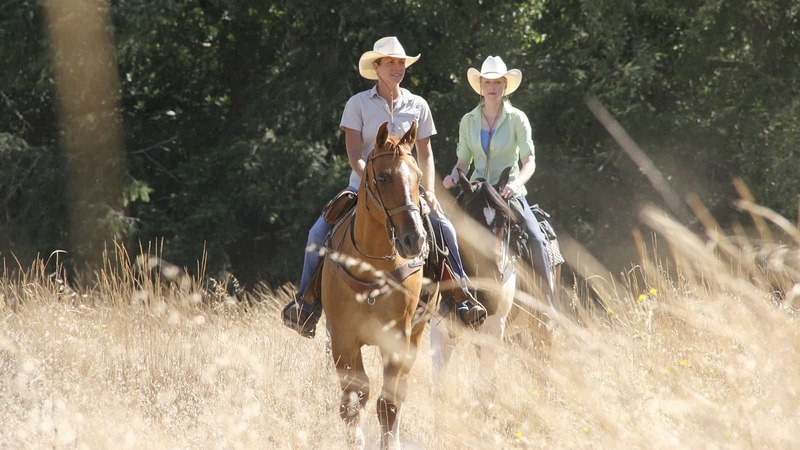 Located between Napa and Sonoma Valleys, Sugarloaf Ridge State Park offers 25 miles of horseback trails. Our destination was the summit of Bald Mountain, where, on a clear day, you can see San Francisco Bay, the Sierras and Mount Saint Helena. When Bettinelli pointed out the upside-down, ice cream cone-shaped ridge off in the distance at the southern end of the park, she told me the name Sugarloaf Ridge harkens back to when sugar was sold in irregular loaves, cut off of a larger loaf by a grocer. Customers would have walked out of the store with something resembling the triangular ridge. I imagine this ridge served as a navigational marker for the area’s earlier inhabitants, the Wappo Indians. They lived in the Wilikos village at the head of Sonoma Creek, which runs through the park. I found myself using Sugarloaf Ridge as a marker, while Erin and I rode out to catch the Sonoma Sunset. The Wappo tribe farmed this fertile land, living in long, grass thatch huts. They often ventured to the nearby coast to trade for shells and collect items to eat, such as salt and fish. When the Spanish arrived to colonize the region in 1823, the Wappos were more successful than other local tribes at holding their ground. Yet cholera and smallpox epidemics killed off most of the tribe; even so, Wappos still survive to this day. The sparse development of the Sugarloaf Ridge area by the Wappos, the Mexican ranchers and the American homesteaders has left the land relatively wild. As Erin and I began to climb up Vista Trail, California bay, scrub oak and chamise encased the shaded trail. The presence of poison oak made me glad to be on the trail on horseback. Deer, gray foxes and (rarely) bobcats can be seen in Sugarloaf, but for me, this unique vegetation most piqued my interest. The trail snaked up past Pacific Madrone trees with their distinctive, reddish orange, peeling bark that sheds like a lizard’s skin. The Wappos and settlers might have used the tree’s berries to make cider or in fires for cooking or warmth. The hard wood burns long lasting. When we finally reached the top at more than 2,700 feet, our two horses lined up together, overlooking Napa and Sonoma Valleys, ready to take in the sunset. Sonoma derives its name from the area’s Indians, and it means “Valley of the Moon,” yet its sunset impressed me. The intensity of the light truly made it one of the most beautiful sunsets that I have ever seen. In the distance, I could see the town of Napa and, though far away, a spec of San Francisco. When Napa Valley Railroad began running in 1868, grape growers shipped their crops to Napa and then via steamer to San Francisco. As Erin and I sat together, in silence, at the top of Bald Mountain, I thought about those hardy pioneer winemakers. The California Wine Association had lost more than nine million gallons of wine during the San Francisco earthquake and fire of 1906. Yet the industry rebounded. 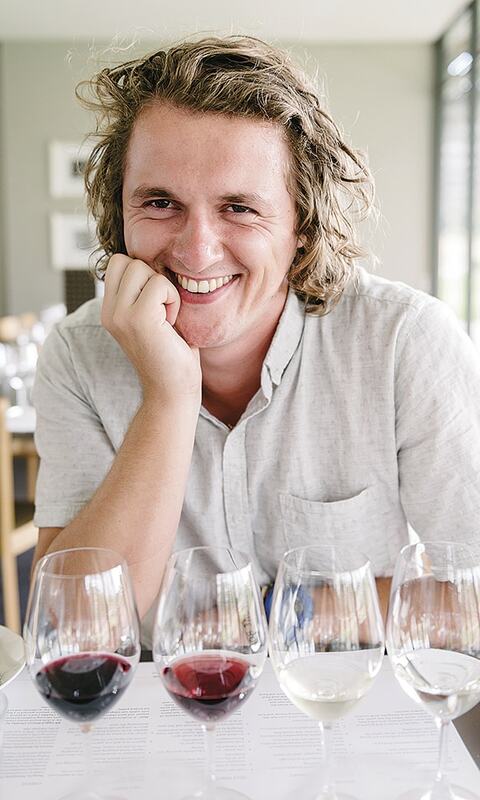 The wine flowed again, and it still flows to this day.